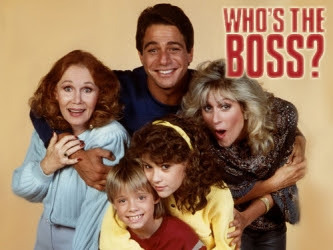 Instructional Control: Who's The Boss? - I Love ABA! Instructional Control: Who's The Boss? Instructional control is an ABA term that describes how to establish a paired, authoritative relationship. Instructional control is a concept that excellent ABA therapists or professionals are aware of, and understand how to establish. I don’t come across many parents who understand the need for instructional control or how to maintain it, so this post is targeted to parents. *NOTE: Some non-ABA treatments for Autism focus on child-led, child initiated therapy, and minimize or eliminate the step of the therapist establishing instructional control. For therapists or parents who support or engage in those treatment techniques, this post probably won’t be helpful for you. “Instructional control” probably sounds like a cold, intimidating term that is only applicable to therapists or professionals. I would disagree with that. If more parents knew what instructional control was and how to get it, you would save yourself much stress and conflict in your home. As a parent, you teach your child everyday and you give demands to your child throughout each day. Proper instructional control is what motivates them to listen to you, to be compliant, and to do what you ask. Many parents have asked me with a surprised or amazed face, “How did you get my child to do _____?” or parents will state to me that their child will listen to the therapist, but not to them. Why is that? Why will the child do something for me, but not for the parent? There are a few reasons for this, but a primary reason is lack of instructional control. So what exactly is instructional control? How do you get it? How do you lose it? How do you know if it’s lacking in your home? The best way I can explain instructional control is to say in a situation lacking instructional control, the child is the BOSS. They are in charge, and they call the shots. Kids don’t just wake up one day and start running the house. That is a misconception. Inappropriate behaviors were reinforced, consequences were not delivered, and over time the child learned that they are in charge. If you see one, or two, or several things on that list that you do regularly, don’t feel bad. I have been inside of enough homes to know that many parents don’t understand how the errors listed above undermine their authority and lead to a lack of instructional control. When I first start working with a child (after successful Pairing) I'm going to begin establishing the relationship that the child and I will have. I can’t properly teach a child who doesn’t listen to what I say or refuses to do things I tell them to do. Establishing instructional control isn’t difficult, but it does require a certain mind-set. Sometimes parents have difficulty being firm with their children, and aren’t comfortable being a disciplinarian. When I am working with a child I am the giver of reinforcers, I am “that fun lady who shows up and plays with me”, I am giving undivided attention to the child, and I am always modifying my curriculum to keep them successful. BUT, I am also swift to provide consequences, I create structure and order, and I follow through with everything I say. Despite what some may think, ABA isn’t about being mean, harsh, or cold to children. If I never showed compassion, love, or kindness to my clients they would never want to work with me (and understandably so). Limit access to reinforcers- The child should not have free access to highly reinforcing items. If they do, what is their motivation to complete tasks or comply?The child should be clearly taught "I do ____, I get _____". Making reinforcers contingent upon target behaviors will help you gain instructional control. Present a united front with the adults in the home- For me this means that I present myself as being on the same team as the parents. If Dad says the child must wear mittens to go outside, then I help enforce that. If I say that the child can’t watch TV while I am in the home for a session, the parents help enforce that. To parents I would say: Do all the adults in the home present themselves as a united team? Does Mom back up Dad, and Dad back up Mom? Create a schedule/routine and stick to it- Decide how you want the day to flow, and fill the child's day with activities. Engage in the activities with the child, as much as you can. Happy kiddos who are kept busy and engaged don't tend to exhibit problem behaviors. Provide a stark contrast between “Good Job!” and “Let’s Try That Again”- When my kiddos do what I need them to do, I immediately reinforce with an animated tone of voice and facial expression. When they do not do what I need them to do, my tone of voice changes, my facial expression changes, and I do not provide reinforcement. If your child was only responding to your face or tone of voice, would they know when they have done the right thing? Always be prepared before giving any demand- I don’t give any demand to one of my kiddos that, if they fail to comply, I cant follow through with. If I am writing data and the child bolts out of the room, I wont continue to write as I yell out “Come back and sit down”. I will stop writing, get up, and go get the child. Stop and prepare yourself before giving any demand, no matter how small. Treat every demand you give like an opportunity to reinforce, or provide a consequence (because it is). 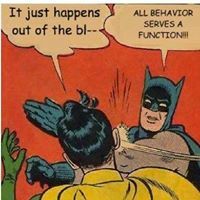 Create opportunities to address problem behaviors- If a parent tells me about a behavioral trigger, I'm not going to avoid it. I can't correct a behavior I never see. If a parent tells me that turning off the TV causes a tantrum, then I'm going to sit down with the child to watch TV and then abruptly turn the TV off. When the tantrum occurs, I now have an opportunity to teach the child a replacement behavior. Parents, don’t get in the habit of avoiding behavioral triggers to prevent problem behaviors. That isn’t prevention, its avoidance. Offer more choices combined with follow through- You’d be surprised how rare it is for a special needs child to be offered choices. All day long they have a variety of people telling them where to sit, to be quiet, to walk over there, etc. When dealing with defiant children I will often offer a choice between activities instead of giving a demand. For example, instead of saying “Clean up the toys” I will say “Do you want to clean up the dolls, or the puzzle?”. I came up with the choices, but offering them still makes the child feel a degree of control. An important, but often forgotten, component of choice making is what happens if the child doesn’t choose. Then you choose. You decide what the child will do, and use prompting to get them to complete the task. Thank you for this excellent post. Instructional control is so important, yet it has such a pejorative name. You did a great job explaining what it is and isn't. Thank you! Its a hope of mine that more parents will understand what instructional control is, and how to gain it. Thank you for the suggestions Tameika! You are so helpful. By the way I love your book 101 Ways To Do ABA which is how I discovered your blog. Keep up the great work. It inspires and reaches so many individuals like myself. Thank you so much, I can really tell you are passionate about the field! Thank you so much with this...I struggle with my son right now, and one of the main reasons I have changed my career to become a BCBA. He has become very defiant and most of my attention was given during tantrums, or when he is doing something he isn't supposed to. 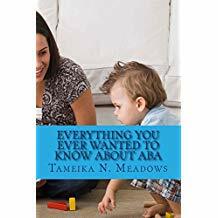 And it never popped in my mind, about ABA with my own child. I've tried somethings, but it's never been as consistent as it has been with my clients. Something I have felt really guilty about. Congrats on your career choice, and your path to becoming a BCBA! I think thats great, and you bring a unique perspective to this field that is very much needed. The most important part of teaching! I am going to print this article for paras. I agree! This is such an important start to a successful teaching relationship. Fantastically explained Tameika. Thank you. As a parent of an autistic 7 yr old with challenging behaviour I implement what you outline pretty successfully. But there is one aspect I don't know how to deal with. The issue you are describing (the problem behavior worsens/grows more severe/gets more difficult to handle) is what professionals refer to as the Extinction Burst. I will include a link to a post below so you can read more about that. Issues like what you are describing are NOT DIY situations. 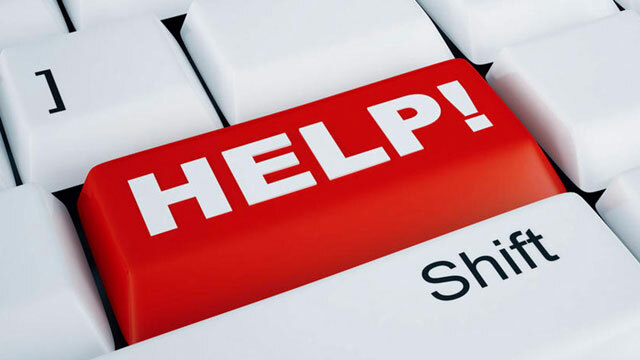 You need the help of a behavioral professional, as doing the wrong thing during a Burst could have far reaching consequences, or accidentally worsen problem behavior even further.